Have a Hunger Games fan on your holiday shopping list? 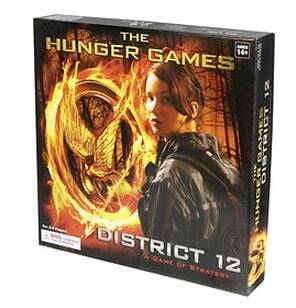 The The Hunger Games: District 12 Strategy Game is on sale for $9.99 at BestBuy.com right now. That's 50% off the regular price of $19.99! The Hunger Games theme – Lets you play as a resident of District 12 to try to avoid The Reaping by acquiring food, clothing, medicine and fuel. Strategy game – Includes 55 resource cards, 9 special deck cards, 44 reaping cards, 4 player tokens, 1 round token, 1 first action token and 6 cover tokens. Shipping is FREE with $25+ order.